Prose versus Poetry- what are the key differences- if any? We tackled this question in our class this week. Here is a very simple way of showing the differences. We drew attention to these differences initially with special reference to Shakespeare. We have all just been to see As You Like It with John Bell in a leading role. We were trying to identify why and how Shakespeare so often in this play switches between prose and poetry- at the drop of a hat! 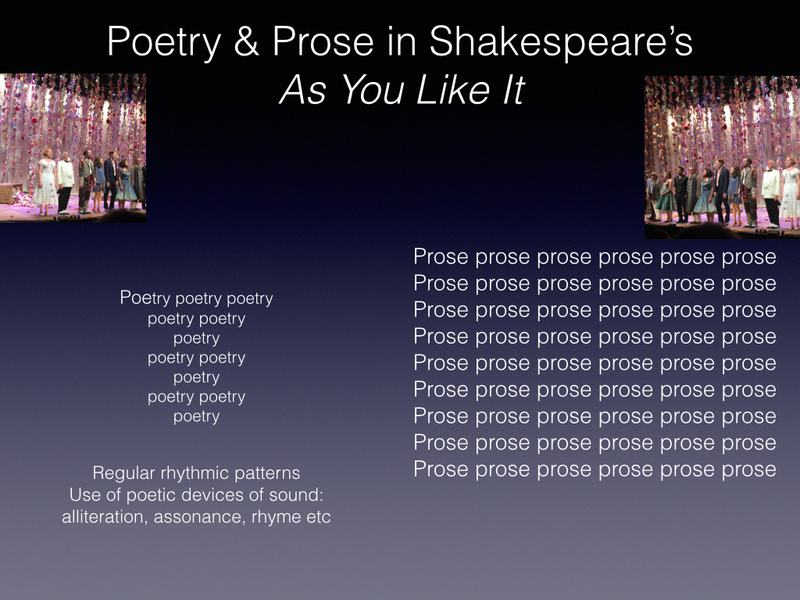 If you look on any page of this play you can see the oscillations between poetry and prose, prose and poetry… and it is worth exploring, thinking about, discussing, what Shakespeare seeks to achieve through these effects. The beauty of Shakespeare in the context of a unit on the genres of literature is that Shakespeare employs all three genres (poetry, prose and drama) simultaneously!!! We will be going into an exploration of Mr Shakespeare’s literary capacities in more detail in a few weeks. For now, let’s focus on the question: what is the key difference between prose and poetry? Poetry is language that is visually shaped and is, because of this, very close to the visual arts in its power and effect. Prose runs from one side of the page to the other in a block and so doesn’t have this clear use of physical form to amplify its meaning. Having said that there are of course trillions of ways in which creative prose and poetry are VERY like each other. We discovered this in our perusal of the first paragraph of Tim Winton’s story “Sand” which -when you explore all the simile’s, metaphors, patternings of sound, symbolic meanings AND explicit use of music- when you explore all of these it is hard not to come to the conclusion that this is ALSO poetry. But poetry that is not SHAPED like poetry, but just SOUNDS like poetry. The other big difference of course is that poetry usually (but not always) has a steady regular rhythm and can have a rhyme scheme as well (but not always). Prose also has a rhythm – because all language has a rhythm- but in prose it is not a REGULAR rhythm. It is an irregular rhythm. Try listening to yourself or to anyone else when they are having a conversation. The voice goes up and down, gets louder and softer, emphasises this word and that word… in fact is full of an irregular kind of music. But it is not regular! That is the big difference. So where is all this leading….. Ho Hum!. In poetry, the physical shape of the words on the page can ADD a level of meaning, of connotation, that might not be possible within prose. So maybe that gives poetry the edge over prose when it comes to expressive power. Maybe… But there are always exceptions. A bad poet may never reach the expressive power of a really good prose writer or story teller. So these are some of the things we explored this Wednesday in our introduction to the genre of Prose. You can hear the whole discussion in the second part of this lecture/ seminar. The first part was dedicated to looking over some of the fabulous essays on poetry completed by this enthusiastic group. Thank you all. We had a great two hours! CREATIVE: Write a descriptive paragraph in the style of Tim Winton. Look at the way he uses language and try to bring your scene to life in the way he does. 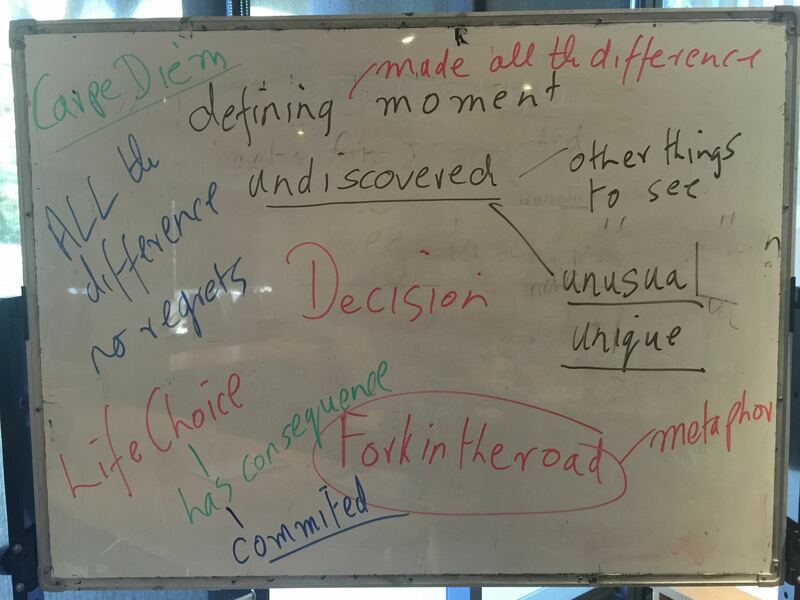 CRITICAL: Discuss the way that Tim Winton uses 4 Literary Devices to make his meaning come alive. [Hint: metaphor, simile, sound patterning, repetition, images]. Remember to identify the device AND say HOW it helps the MEANING of the text come to life. Lecture Seminar Part 2 (A Discussion of the Differences Between Poetry and Prose with a special focus on the first paragraph of Tim Winton’s short story “Sand”. 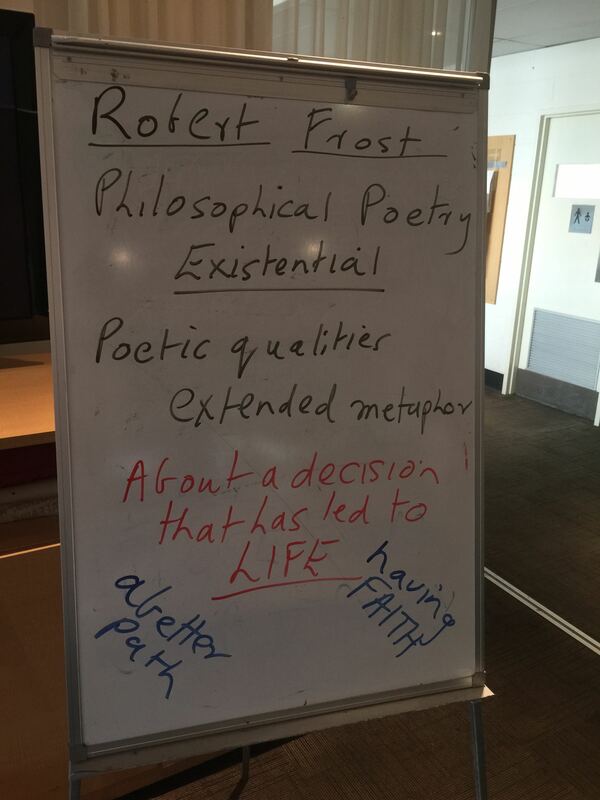 Students were asked to refamiliarize themselves with the document on poetic language: Click on Link Number 7 in the left hand side bar in this blog. If you do this then your library cards will be ready for you when we arrive at the library on the 29th April.